Page 105-106: Some dioceses have had, or do have, an excommunication attached to anyone who seeks civil divorce or civil separation without permission from the Church. But even if such a penalty is not attached, the Catholic who goes ahead without such a permission, except in extreme cases, puts himself in a most difficult position. He is not fulfilling his duties and he has set himself up as his own judge in a matter in which he is forbidden to judge. 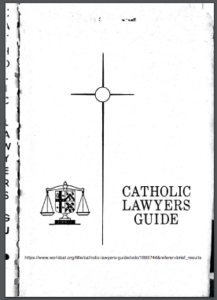 Page 106: A lawyer who takes the case of a Catholic desiring a civil separation or a civil divorce from a valid marriage, when the Catholic does not have ecclesiastical permission for such action is putting himself in a state of sin. It would seem that any good Catholic lawyer would be happy to let the Church make such a difficult decision and not assume to himself something which he is definitely forbidden in conscience to do. In dealing with a non-Catholic, the Catholic lawyer should proceed cautiously. He must bear in mind that the morality of a civil divorce action always involves the basic question of whether or not the action taken by the plaintiff in a given instance involves sin. 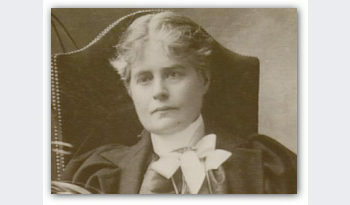 If it does, the lawyer must remember that he is not to participate in the sin of another; neither may he give scandal. Page 106: While representing the plaintiff in a forbidden divorce action may not in a given case be a formal cooperation, it is almost certainly proximate cooperation. This demands a very serious reason indeed for the plaintiff is doing something seriously sinful. If scandal cannot be avoided, no reason is serious enough to allow the lawyer to act. Page 110-111: May a Catholic lawyer undertake a divorce case? Generally speaking, the answer must be in the negative[.] … Moreover, the Catholic lawyer should know that the Third Council of Baltimore forbids Catholics in the United States to approach the civil court for the purpose of obtaining a separation a thoro et mensa (from bed and board), without first consulting the ecclesial authorities. It would be the proper thing for a Catholic lawyer to bring this legislation to the notice of a Catholic seeking his services for the introduction of a suit for a civil separation. Page 110:In particular a Catholic judge cannot pronounce, except for reasons of great weight, a sentence of civil divorce (in countries where that is recognized by law) in a case of a marriage which is valid before God and the Church. He must not forget that in practice such a judgment has not only bearing on the civil effects, but in reality rather leads to the false belief that the actual bond is dissolved and that the new one is consequently valid and binding.